The Zig Zag is known for presenting some of the world´s most talented musical artists. Tonight’s jam session is about something else. you are invited not only to listen, but also to play an active role in making this a great evening. It's not only about professional musicians (but about them, too! ), but also about e.g. -	an incomplete group looking for that missing bass player or drummer or singer. Tonight we offer you the opportunity to meet like-minded people, go on stage and perform! Our Jam Session Band will start the evening, but invites you to play along. Talk to the band or to us. Below is a list of the songs prepared for the evening by the Jam Session Band, which they will play and where playing in the second set is welcome. -	Sänger, die es lieben zu singen, aber denen die Band fehlt usw. Heute Abend bieten wir euch die Möglichkeit Gleichgesinnte zu treffen, auf die Bühne zu gehen und aufzutreten! 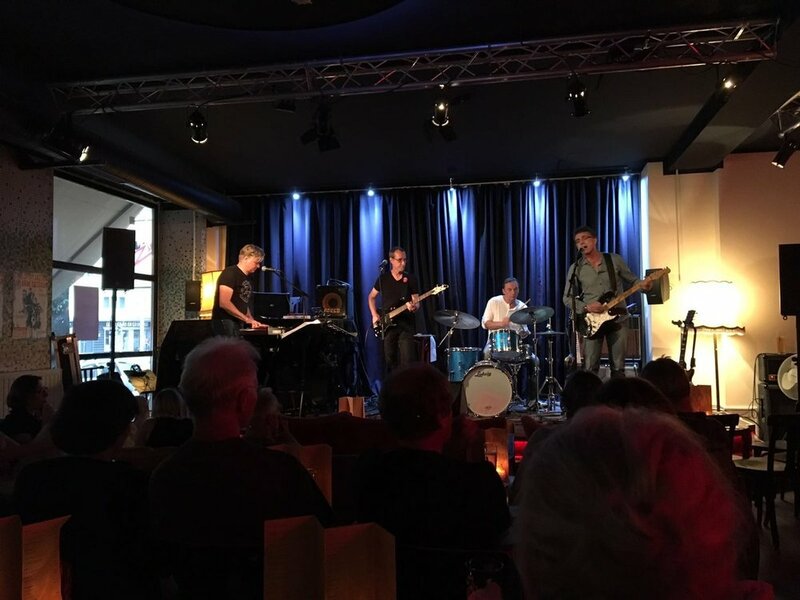 Unsere Jam Session Band wird den Abend beginnen, lädt euch aber ein mitzuspielen. Sprecht die Band oder uns an.